Whether curly or straight, long hair looks attractive in every season. It can be manipulated into more varied styles so you can have a different look for summer, winter, and fall. It can be styled into braids, buns, or ponytails for weddings, meetings, or picnics. 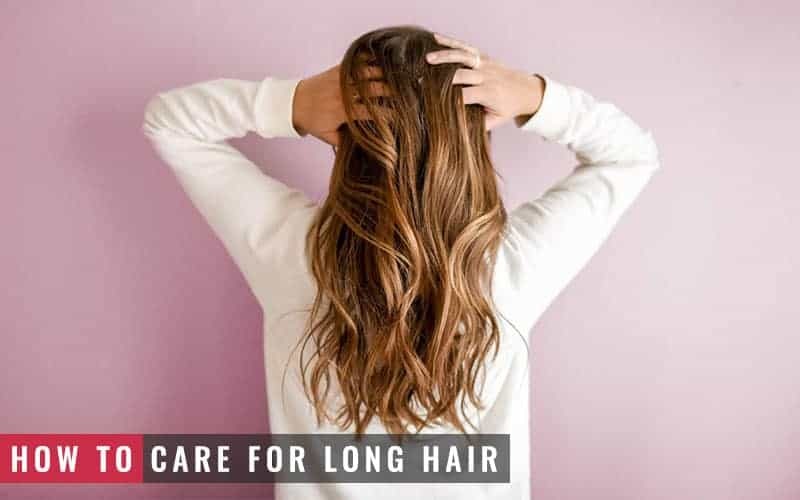 However, if your hair is not in good shape, then its length will mean nothing and you will have to get rid of those beautiful locks. To keep your long tresses healthy and presentable, there are 10 commandments you must abide by. Read on to know what they are. Long hair is prone to split ends. If you wait too long between trims, your split ends will re-split. As a result, you will have to get rid of more hair than initially planned during your next salon appointment. As a rule of thumb, you should cut half an inch every month to combat split ends. If you air-dry your hair most of the time, you can wait 10-12 weeks before your next trim. For long hair that is styled with heat frequently or colored often, a trim every 6-8 weeks is mandatory. Make sure that your hairstylist is on the same page as you in terms of your hair goals. 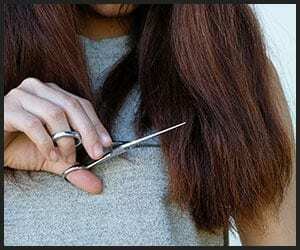 He/she should understand when you want a trim that is intended to get rid of split ends. So, he/she should cut just about enough hair to give you a style that is presentable as well as stimulates hair growth. Long hair is more vulnerable to climate-induced damage than short hair. 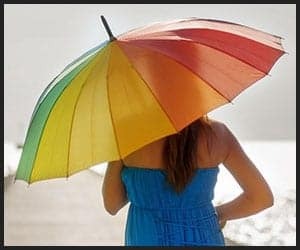 Therefore, you must remember to wear a scarf or carry an umbrella when you go out on a sunny day. Without adequate protection against the sun’s harmful UV rays, you will return home with hair that is weaker and more prone to breakage. It is important to note here that the scarf must be silk, satin, or velvet rather than cotton, viscose or polyester. The reason is cotton fabrics tug on your hair and cause a lot of friction leading to hair damage and frizz. On the other hand, silk scarves have a smooth surface and will not pull your hair and cause knots. Before you go for a dip in the pool or a swim on your beach trip, it is a good idea to soak your hair with filtered water or simply apply a leave-in conditioner. This step will give your hair protection against the dehydrating effects of chlorine in swimming pools and salt in seawater. Tight hairstyles can put unnecessary strain on your long hair and make you lose those gorgeous locks. Avoid topknots, high ponytails, and tight braids as these styles put so much stress on your hair that it begins to fall out making it necessary to chop it off. Alternating between different hairstyles can also help you to avoid tension in the same area of your hair every time. 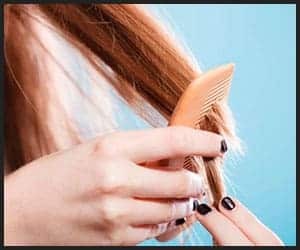 Since long hair is more susceptible to breakage than short hair, it is advisable to use hair products only as much and as often as directed on the product label. 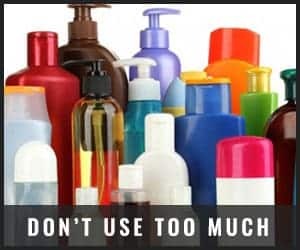 Use products suited to your hair type and do not use more than is needed. Keratin treatments, in particular, should not be used in excess because the buildup of protein on your scalp can lead to hair breakage. This will make your long tresses lose their charm. It is common knowledge that long hair tangles more easily than short hair. The key to keeping your stunning locks free from knots is to comb them once in the morning and once at bedtime. 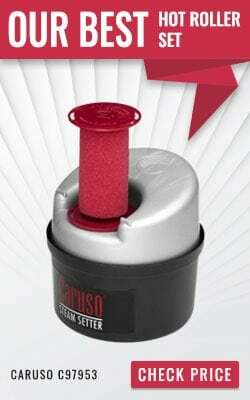 This helps to prevent larger knots from forming in long hair. You should start to comb your hair from the ends and work your way slowly up to the roots. To help you negotiate knots more easily, it is a good idea to comb your hair in sections. Regardless of your hair type, a normal brush will most certainly tug at your enviable tresses and damage them. A natural fiber brush is perfect for long hair because it helps to reduce friction by smoothing the hair shaft. You can choose either a boar bristle round brush or a half boar bristle/half nylon paddle brush to brush your hair without worrying about frizz and tangles. Be careful not to brush wet hair because doing so stretches your strands instead of separating them. 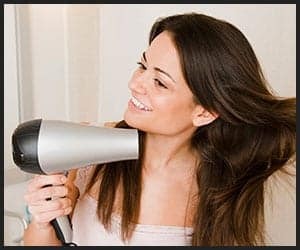 Although it is better to air-dry long hair, there will be occasions when you will need the blow dryer. Since long hair is more prone to frizz than short hair, you must apply heat protectant before styling it with heat. 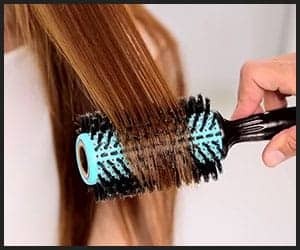 Moreover, you should use the device on a low temperature, point the nozzle down instead of sideways, and hold it 3 inches away from your hair. These precautions will control frizz and flyaways. If you heat-style your hair often (which is not recommended), then you must use hydrating hair masks twice a week. Long hair tends to become dry and frizzy at the ends due to frequent coloring and heat-styling. Therefore, these weekly hair treatments are essential to replenish lost moisture. Hot rollers with argan oil infusion, ceramic coating, and ionic technology are relatively safer as a heat-styling tool for long hair. Long hair already has weight and using hair products can weigh it down further. This is why you should choose lightweight products with moisturizing and heat protection properties so your hair is not weighed down. 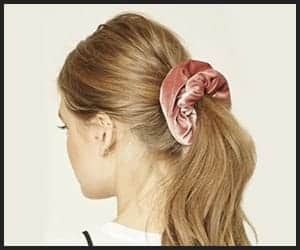 Silk, satin, or velvet scrunchies are the best hair bands for long hair. Unlike other types of hair ties, they will not pull your strands as you undo your ponytail and cause them to break. When retiring for the day, these practices will help you to maintain your wonderful long tresses: sleeping on a silk or satin pillowcase, and tying your hair loose. Unlike its cotton counterpart, a silk or satin pillowcase has some slip and no friction which allows you to wake up the next morning with fewer tangles and little need for heat-styling. Tying up your hair into a loose ponytail, braid, or bun with soft scrunchies will reduce the likelihood of pulling your delicate locks and exposing them to breakage. Long hair is more fragile, frizz-prone, and tangle-prone than short hair. Therefore, it requires more care than short hair. By having regular trims, tying your hair loose and with soft scrunchies, using lightweight hair products, taking precautions against sun and heat damage, and sleeping on silk or satin pillowcases; you can preserve your long hair and bask in its glory! Schwarzkopf, Long Hair: How to keep it beautiful!